Diesel Marine Engines: How To Service Them! This is the last part of our diesel marine engine service! When we maintain our engine, we need to check our starter battery too. Another vital element to get your engine started. First of all, we need to sure that our battery is always properly charged. Starting an engine draws a lot of amps and if your battery is weak, the electric starter might not turn or very slowly. If we don't use our engine for a month or so, batteries lose their charge. 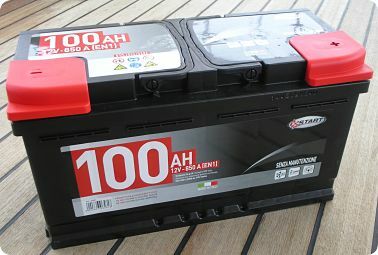 So, it's good to start the engine to reload the battery or to connect the battery with a battery charger. The one I use is one you can find in automotive shops easily and they have coloured lights on them to show you when the battery is full. 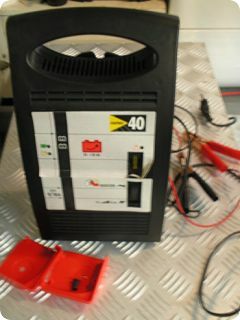 Another thing to check is the state of the connections and the terminals of the battery. These need to be clean, without signs of corrosion. Corrosion blocks the flow of current. If they are not, disconnect the battery. When you disconnect, you first remove the minus (black) and then the plus (red). This way you avoid sparks. Be easy on the terminals when you remove the clamps. 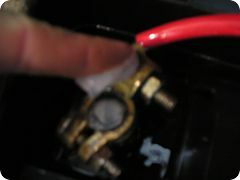 Then you clean the connection clamps and terminals with a rag or even some fine sandpaper and wire brush. When everything is cleaned, connect the clamps back to the terminals of the battery. Now plus (red) goes first, then minus (black). Then you can put some petroleum jelly (vaseline) on the clamps and terminals to prevent corrosion. You can also use a marine protective spray. Be sure that your batteries are in an acid-proof box with a ventilation hole. Especially wet-cell batteries, emit the explosive hydrogen gas which needs to be ventilated. Through the vent, charging heat can escape too. And finally, make sure that the whole lot is securely fastened.